Guinea Bissau: Elections, but then what? HomeNews in PerspectiveGuinea Bissau: Elections, but then what? Guinea-Bissau’s elections are an important first step, but to address its economic and political fragility, the country needs strong international help, as well as political and military will for reform. In its latest briefing, ‘Guinea-Bissau: Elections, But Then What?’, the International Crisis Group examines the bumpy road to the 13 April 2014 elections and the challenges a new government will face. Redistributing power and resources in a country where participation in government has been the main method for acquiring wealth, will threaten a fragile balance of forces. Two years and one day after the coup that prevented the victory of the African Party for the Independence of Guinea and Cape Verde (PAIGC) in the March-April 2012 presidential polls, and after a series of postponements and crises, Guinea-Bissau will finally hold elections on 13 April 2014. These legislative and presidential elections will take place not because of a strong national consensus but because the country is on the verge of bankruptcy and the international community, less divided than it was at the time of the coup, has applied strong pressure. The vote is only the first stage in the transition and the basic problems that undermine progress in this small West African country remain. The elections will no doubt pose a threat to vested interests and stability. The new government will have to promote consensus and political pluralism, while the international community must carefully monitor developments in this crucial coming period. International pressure was a decisive factor in ensuring the vote goes ahead as currently planned. Political and military leaders had no choice but to hold elections to avoid bankruptcy and escape from continuing international isolation. However, the elections will resolve nothing if international partners do not work closely with Guinea-Bissau in the crucial period after the inauguration of the new president. They must work towards a greater degree of coordination in the few days before, but above all during and after the elections. Partly improved relations between international partners have strongly contributed to making the elections possible. 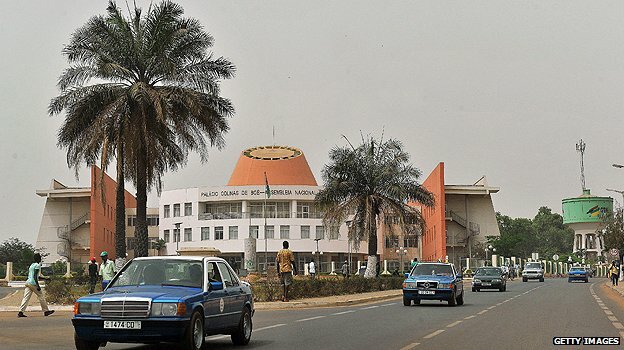 The Economic Community of West African States (ECOWAS), which had supported the transitional authorities from the start, has showed them its impatience. For their part, the African Union (AU) and the new special representative of the UN Secretary-General, José Ramos-Horta, have succeeded in bringing together the different tendencies in the international community to urge the small local political-military elite to get on with the electoral process. By taking such a resolute position on the elections, the international community has given the coup organisers and supporters a difficult choice. Senior officers in the defence and security forces, many of whom are suspected of involvement in cocaine trafficking and political violence, will have to accept the return of a civilian government. The latter will have to call into question the privileges enjoyed by those officers and resume the security sector reforms that contributed to prompting the army to stage the coup. This time round, the government should proceed with caution and seek compromise to avoid a violent reaction from the army. The frontrunner in the elections, the PAIGC, must resist the temptation to adopt a “winner-takes-all” attitude. It should seek ways to leave space for those political actors that came out in support of the coup and whose electoral prospects are grim given the currently prevailing disastrous socioeconomic situation. In a country where the economy is in shambles and participation in government has been a way to acquire personal wealth, the pro-coup actors risk being completely excluded from the formal and informal benefits associated with power. This could lead them to associate with disgruntled segments of the army and promote more violence. The current level of international pressure means the elections will most likely be held on schedule and in a relatively satisfactory manner, at least for the first round. But that will not be enough. The new government’s stability and performance will be decisive. 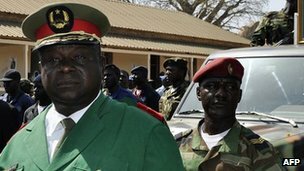 Aware of this, diplomats in Bissau are trying to arrange a support program that will help the new government carry out the necessary reforms while maintaining the country’s complex political-military balance of forces. The highest authorities of partner countries and international organisations must heed their diplomats’ advice, though little attention is paid to Guinea-Bissau, a small country with a population of one and a half million, without any strategic resources or massive violence to put it in the international spotlight. Depending on how the elections unfold and on the behaviour of the security forces during and after the vote, the international community should consider gradually lifting individual sanctions against low-ranking officers. Lifting sanctions against higher-ranking officers should be conditioned on significant progress in modernising the army. Donors should be ready, in the short term, to help the new government pay public sector wages and, in the long term, to fund the Governance Efficacy Amelioration Program (GEAP) and associated development programs. If the departure of the special representative of the Secretary-General, José Ramos-Horta, is confirmed, a new representative capable of mobilising and coordinating international action should replace him as soon as possible. The new assembly should move quickly to pass the amnesty law agreed during the transition, which should apply exclusively to the April 2012 coup. The new government should promote ethnic and political pluralism.